"Wasn't it fun how someone else revealed who the Spider King was? We can guarantee that something else will happen like that again in Rick Remender's 'Venom.'" Rick Remender's "Venom" series was up next and earned a solid approval from the audience. "At the end of 'Spider-Island,' Venom's status quo is completely changed...he has to leave town, and goes on the run. He's essentially stolen the symbiote," Wacker said. Brennan added that "This year will be huge for symbiotes." Wacker called the comic one of Marvel's biggest launches in years and saying "the symbiotes will start to influence Flash Thompson" before stopping and correcting "Symbiote!" Plans are in place for ties between the series and the incoming "Carnage U.S.A." comic. Swinging back to an earlier topic, Decembers "Carnage U.S.A." came up. 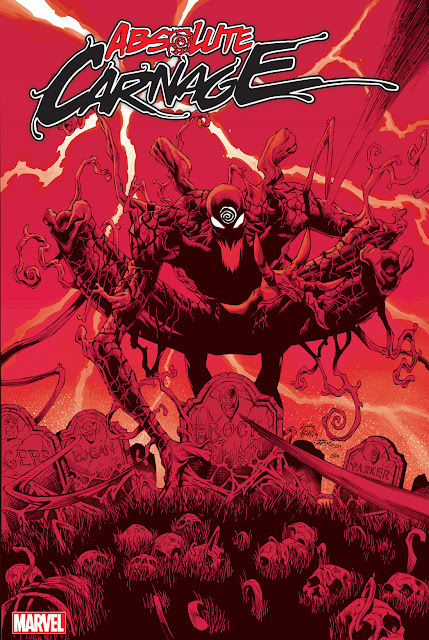 "This book started because the first 'Carnage' series we did was an unexpected hit. Everyone loved Clayton [Crain] and Zeb's work on it. So Zeb and I went to dinner and came up with a hook where Carnage takes over a small town. And when I say 'takes over,' I mean 'kills a lot of people.' The art is sick...or to use the new word I'm trying to start if the room can help me 'The art is totally chowder.'" We're building up to a couple of arcs in Venom equally as epic as The Dark Angel Saga. Venom #10 begins Eddie Brock's next chapter, he'll be a regular recurring character. I think 2012 is going to be an even better year to be a Venom fan than 2011 - and 2011 was pretty damn awesome! You can view the entire recap of the panel at CBR.